Chris & Taylor got what they deserved. And it could happen to you next! Chris & Taylor's Celebration & Testimonial of The GreenHouse Group. 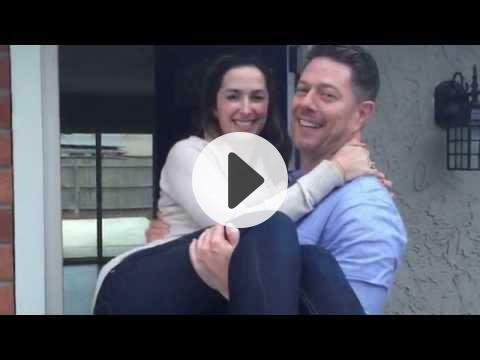 Chris & Taylor's Story of How They Got to "Home." Once upon a time there was a couple who after finding love and calling a rental home every night, thought maybe now was the time to own something on their own. Every day they wondered if the timing was ever going to be perfect to start the process, considering they weren't even hitched yet – and if they'd find what they needed. One day, they decided to reach out to someone who could help, which landed Chris and Taylor in Initial Consultations w/ Jesse to come up with the plan & David to come up with the financing. Because of that, we determined what the optimal home would look like, and why. We knew we wanted to be a good neighborhood with growth potential that could accomodate Chris' growing business. Until finally, 1 month and 21 days after sitting down with the couple, they got the keys on a newer, spacious home in a great community for setting down roots of their own.